As a self-published author, I get to blow my own trumpet. (After all, I have no-one to do that for me.) 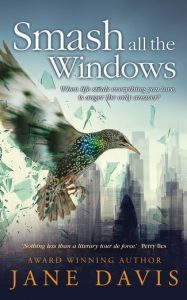 And so with a small introductory fanfare, I can confirm that Smash all the Windows has been shortlisted for the first Selfies Award, produced by BookBrunch in association with the London Book Fair. “The shortlist we’ve come up with contains works that can confidently stand against the very best fiction being published in the UK today.” Jo Henry, BookBrunch, MD. 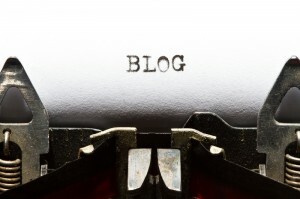 Why introduce a new award for self-published books? Quite simply, many book awards either specifically exclude self-published entries, or the entry fees are prohibitively high. That’s not to say that the competition is open to all self-published books. For the first year, submissions are limited to adult fiction titles (organisers expect to expand the scope of the award in the future). Now there’s a term I like. As any self-publisher knows, publishing is all about teamwork. Over thirty-five people contributed to Smash all the Windows. My beta readers – all of them volunteers – deserve a mountain of praise, especially Liz Carr who goes above and beyond, Beth Allen, Karen Begg (without whom I would have had Ollie wearing school uniform during the summer holiday), Sheila de Borde, Anne Clinton, Kath Crowley, Sheila Christie, Sue Darnell, Sarah Diss Evans, Helen Enefer, Mary Fuller, the lovely Dawn Gill (to use her official title), Sarah Hurley, Liz Lewis, Lynn Pearce, Deb McEwan, Sarah Marshall, Matthew Martin, Harry Matthews, Amanda Osborne, Delia Porter, Will Poole, Sally Salmon, Peter Snell, patron saint of indie authors and bookseller extraordinaire, Julie Spearritt, Eleanor Steele (who read the manuscript when she was soon to give birth to her second child and so generously shared her pregnancy experiences) and Clare Weiner. Extra special thanks to my editors Dan Holloway of Rogue Interrobang https://rogueinterrobang.com/, John Hudspith (http://www.johnhudspith.co.uk), proofreader Perry Iles (contact him at chamberproof@yahoo.co.uk). Special thanks to Carol Cooper (http://pillsandpillowtalk.com) for the French translations. And not forgetting Andrew Candy for his fabulous cover design, JD Smith Design for typesetting, and, last but by no means least, all of the team at Clays. The winner of the Selfies 2019 will be awarded £1,500 plus a special self-publishing package from the sponsoring IngramSpark for a next book. In addition, Bookollective will offer the winner a customised book cover design created by Aimee Coveney and a book publicity campaign that the company says is worth £1000. The 2019 Selfies Awards winner is to be announced on 12 March, in the London Book Fair’s Author HQ complex at Olympia, London. 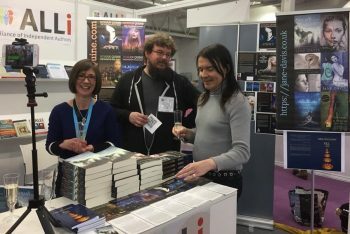 You may remember that I launched Smash all the Windows at London Book Fair 2018! Jo Henry will be joined by literary agents Kate Barker and Annette Crossland, IngramSpark’s Robin Cutler, and London Book Fair’s Emily Laidlaw in choosing the winner. You can follow news of the award on social media at #theselfiesaward.